Using the simple, robust, Python-based Django framework, you can build powerful Web solutions with remarkably few lines of code. In Python Web Development with Django®, three experienced Django and Python developers cover all the techniques, tools, and concepts you need to make the most of Django 1.0, including all the major features of the new release. 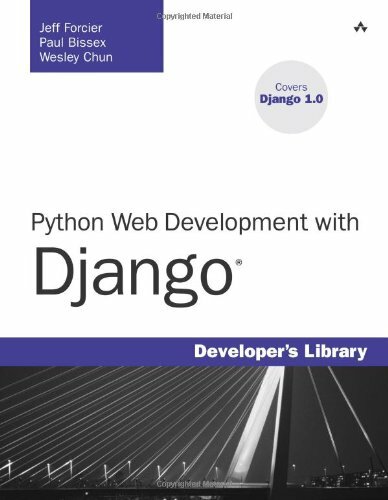 This complete guide starts by introducing Python, Django, and Web development concepts, then dives into the Django framework, providing a deep understanding of its major components (models, views, templates), and how they come together to form complete Web applications. After a discussion of four independent working Django applications, coverage turns to advanced topics, such as caching, extending the template system, syndication, admin customization, and testing. Valuable reference appendices cover using the command-line, installing and configuring Django, development tools, exploring existing Django applications, the Google App Engine, and how to get more involved with the Django community.